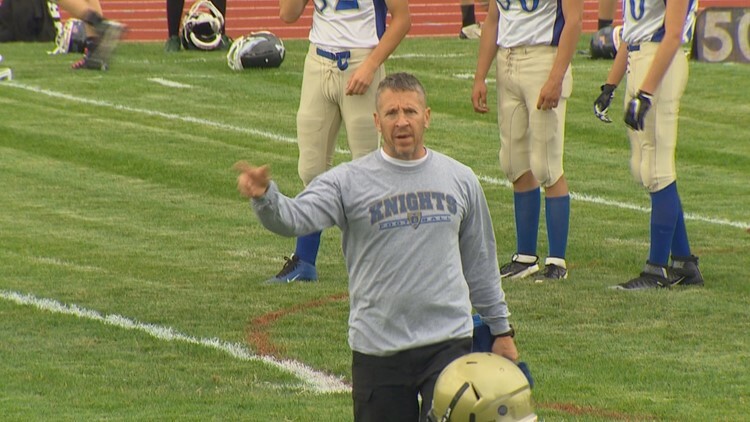 Former Bremerton High School coach Joe Kennedy lost an appeal to get his job back. The coach is now petitioning the U.S. Supreme Court to hear his case. A former Bremerton High School coach who was terminated when he refused to stop praying on the football field is asking the U.S. Supreme Court to hear his case. The Seattle Times reports attorneys on behalf of Joe Kennedy filed a petition Monday asking Supreme Court justices to reverse a lower court decision that sided with the Bremerton School District's decision to fire the coach in 2015. The 9th Circuit Court of Appeals rejected Kennedy's appeal earlier this year that claimed the district infringed on his religious and personal rights. Attorneys say the question for the justices is whether "public school teachers and coaches retain any First Amendment rights when at work and 'in the general presence of' students." Kennedy led players in postgame prayers but the district ordered him to stop saying the practice violated the separation of church and state.